A fit body brings many benefits but you may be surprised to learn just how many of these benefits are mental ones. Having a fit body not only provides wonderful cardiovascular benefits along with improved strength and flexibility, but it can give your brain a boost that means the difference between smart thinking and a clouded mind. By exercising for a fit body, you benefit from improved blood flow to the brain, which improves mental acuity, balance and motor skills as well. In fact, partaking in sports is an excellent way to reap additional benefits because sports such as tennis can improve coordination while simultaneously giving you a fitter body. 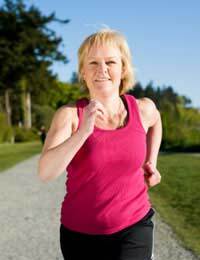 Another exercise that is beneficial is simply to walk for half an hour or more each day. Your brain gets the benefits of enhanced oxygenation, which can leave you feeling far more alert and with an improved memory as well. Exercise releases your body's 'feel good' chemicals known as endorphins. In fact, the mood benefits of exercise are so pronounced that a number of studies suggest exercise can be sufficient to relieve mild depression in some people. In turn, people may be able to avoid the typical medications used for treating depression, some of which have side-effects that impact memory, focusing and mental acuity. The release of endorphins can leave you feeling happy, elated and positive for hours after exercise ends. The intensity needed to really give your brain a punch varies – some people find that intensive cardiovascular exercise gives them the most benefits while others find that a moderately paced walk is enough to get their 'feel good' factor. Another benefit of exercise was seen in a study where it was found that the brain produced significantly more of an important protein growth factor. This particular protein helps brain cells to grow and 'network' as well. As such, brain cell communication is improved, leading to benefits in memory and learning. Yet another study found that children who participated in moderate exercise and then were tested with basic, standardised tests scored better in comparison with sitting still prior to the test. The results may mean that just one robust bout of exercise for twenty minutes could be enough to help kids improve their ability to learn and focus in the classroom afterwards. Getting a fit mind through activities and exercises that also give you a fit body need not be a time-consuming, life-altering task. All it takes is just ten minutes a few times a day to enjoy the benefits of exercise that improves mental well-being. Contrary to how many people approach brain skills and health, your brain is not a separate organ from the rest of your body. How you treat your body also affects your mind. By exercising regularly and consistently for a fit body, you can enjoy a fit mind that has you functioning to your highest potential every single day.